‘Kabhi Fakir! 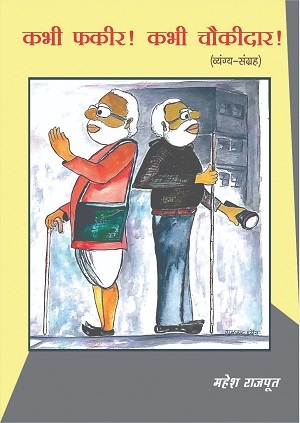 Kabhi Chowkidar!’, a collection of socio-political satires in Hindi has been released as e-book on e-publishing platform NotNul. Writer Mahesh Rajput said that most of the write-ups were written in last two years and were attempt to comment on current political situation. 80-page book is prized at Rs. 39/- only so that book reaches to a larger section of people, said the author adding that E-book was available on www.notnul.com website. The website has emerged as an online platform for not only Hindi literature but also authors of other languages like Punjabi, Urdu, Bengali and Kannada etc. Mahesh Rajput, a journalist with more than 25 years experience, is currently working with Varta, Hindi service of news agency United News of India as chief – sub editor in it’s Chandigarh bureau.